The Seychelles is without a doubt one of the world’s most breathtaking destinations. Everywhere you look there’s an Instagram photo opportunity (if that’s your thing). Several islands make up the archipelago nation. The three main islands are Mahe, La Digue, and Praslin. 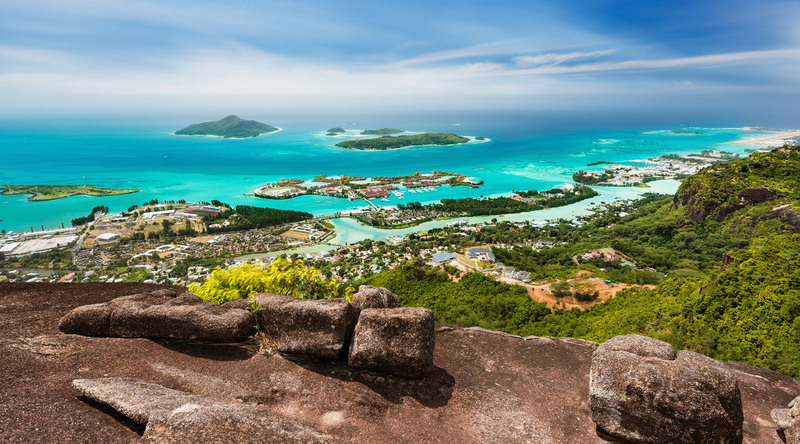 In Seychelles, you could spend weeks exploring beaches, eating exotic foods, and simply doing nothing. Here’s a quick overview of the main islands of the Seychelles. Mahe is the main island, the capital and where the international airport is located. Mahe contains many of the top resorts in the Seychelles that are amongst the best in the world. The beaches are stunning, although many are on private resorts. However, many resorts will allow you to use their beach although you may be required to pay a fee for chairs and towels. There are also top-notch public beaches. Mahe offers the widest variety of restaurants and options. The main town has several restaurants, bars, and shops. There are sporadic places to eat around the island as well. If you want to move around Mahe, you’ll need wheels because unlike much of the country, Mahe is very hilly and it can take an hour or more to cross the island. It’s well worth having a drive around, especially if the weather is good. Praslin is home to my favorite beach in the world, Anse Lazio. It is absolutely stunning and a must see on any visit to the Seychelles. There are perfect photo opportunities, amazing water, and excellent beachside restaurants serving fresh seafood you’ll dream about after you leave. I wish I were there right now! La Digue is probably the most popular island in the Seychelles. It’s a great place to rent a bike and cycle around little dirt roads lined with shops and eateries. However, it’s best known as the location of what’s been named the best beach in the world on numerous occasions, Anse Source d’Argent. It doesn’t disappoint. The beach is small but absolutely incredible. I would place it in my top three in the world! The large granite rocks offset the white and blue water and greenery to create shockingly gorgeous pictures. Get there early and you’ll be all alone on the best beach in the world. Just remember to bring sunscreen!